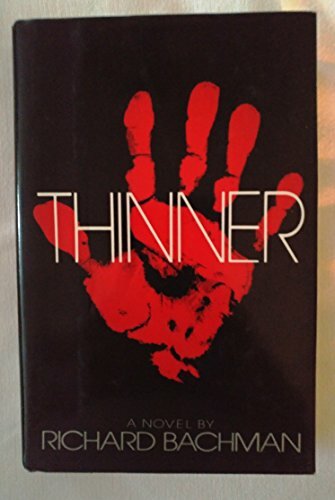 THINNER by Richard Bachman [pseudonym]. When an old Gypsy man curses Billy Halleck for sideswiping his daughter, six weeks later he's 93 pounds lighter. Now Billy is terrified. And desperate enough for one last gamble...that will lead him to a nightmare showdown with the forces of evil melting his flesh away. About Richard Bachman (Contributor) : Richard Bachman is credited in adult books. Published credits of Richard Bachman include The Long Walk.